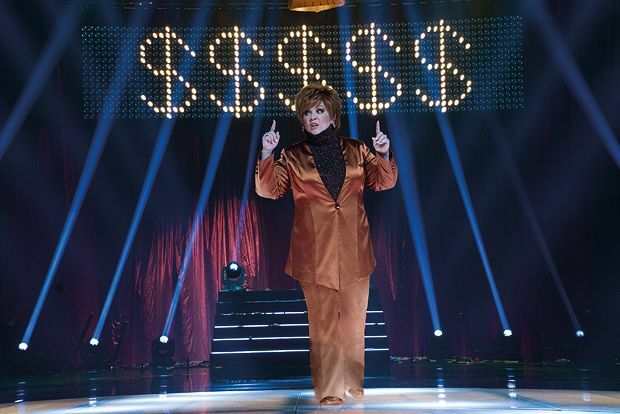 Since she made it big with Bridesmaids, Melissa McCarthy has sometimes struggled to find the right vehicles for her comedic talents, with the serviceable (Identity Thief) and downright awful (Tammy) rubbing up against stronger efforts like Spy. Her husband, Ben Falcone, was at the helm of Tammy, but they reteam far more successfully for The Boss, a foul-mouthed comedy in the actress’s usual abrasive style. In a thin conceit that might have worked better in a more family-orientated film, McCarthy stars as Michelle Darnell, a strident US businesswoman jailed for insider trading. Having learned nothing from her incarceration, the newly released Darnell forces herself into the life of her former PA Claire (Kristen Bell) and Claire’s daughter Rachel (Ella Anderson), masterminding a successful campaign to sell girl scout cookies on an industrial scale. This high-profile scheme brings Darnell back to the attention of long-term adversary and paramour Renault (Peter Dinklage), who aims to destroy her newfound business credibility. The Boss starts well, juxtaposing Darnell’s hard-nosed acumen and shockingly dirty tactics with the more innocent world of girl scouts, climaxing in a Crouching Tiger-style street rumble with a competing troupe. But the second half of the film slips into routine corporate rival shenanigans, with Darnell organising a cartoonish heist of vital documents from Renault’s office. McCarthy is clearly game for humiliating physical comedy, but it’s something of a cop-out after the fresh barbs initially offered at the expense of the American business dream. If it lacks the courage to morph into the full-blown satire promised, at least The Boss never plumbs the mawkish depths of Tammy. It’s a proficient but forgettable comedy well-suited to the raucous nature of its star. General release from Fri 10 Jun.